Come enjoy the make-believe world of puppetry! 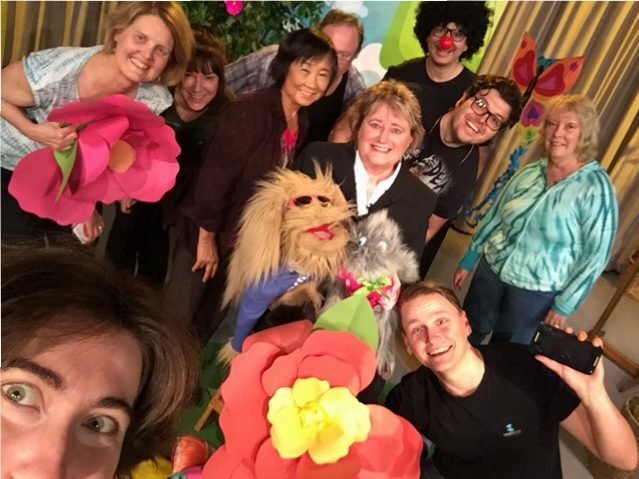 Laugh with Reggie (the smarty pants dog) and Critter (the shy brainy cat) as they explore fun adventures, humorous skits, and sing favorite children’s songs on this fun filled show. Elaine Womack, the ventriloquist, brings these two magical puppets to life. Find out how Critter and Reggie learn valuable lessons by using silly antics. (For example, how to say you are sorry or how to be happy with who you are.) This show will appeal to all ages, especially those who are young at heart? We hope you enjoy all of the episodes.